Tags: Borgata, edge sorting, Phil Ivey. Posted on Friday, August 24, 2018 by "T". The Borgata may have been successful in winning their court dispute against poker pro Phil Ivey over the baccarat winnings he earned by using a technique called edge sorting at the casino, but another obstacle reared its head up, and this time it is when exactly the poker pro will be able to pay that money. According to Card Player magazine, court documents reveal that the Borgata legal team is now asking a federal court to deny a motion from Ivey's attorneys that would delay the judgment and allow him to avoid posting a bond to cover the amount pending appeal. Borgata emphasizes that Phil Ivey can pay the amount and still play poker. Ivey's attorneys argued that forcing him to make a $10.1 million payment would ‘clearly be of devastating impact', and at the same time, the Borgata will not be financially hurt if the judgment is delayed for some time. However, the casino did not agree with the first claim, saying that Ivey's team has failed to prove that the 10-time WSOP bracelet winner would suffer ‘irreparable harm' when he makes the payment. The Borgata is emphasizing that Ivey's poker career will not be seriously impacted if he pays that amount, and that he will still be able to have a reasonable bankroll even without the funds he won from them via his edge sorting scheme. Borgata lawyers wrote in the documents, "Ivey's skill and success as a professional poker player are well documented. He is in the top 3 for poker winnings all time, and there is no suggestion that he cannot continue to be successful. Entrance fees for other tournaments are far less than $10,000 and one can play online poker with initial deposits of under $100. He is not in danger of being prevented from playing poker." 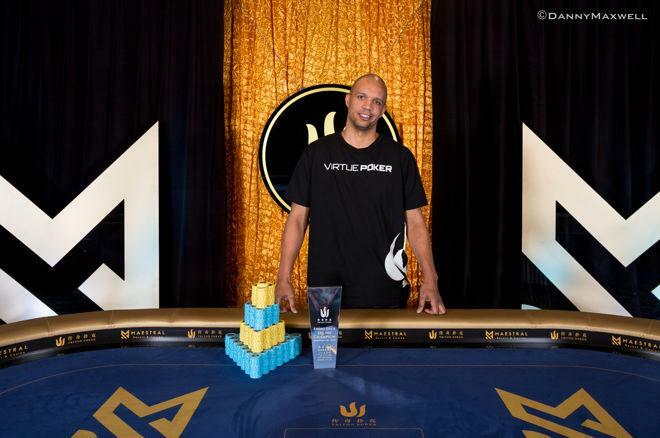 Lawyers also specified that Ivey had been participating in high-stakes poker tournaments quite recently, including the Triton Poker Super High Roller Series in May where he earned more than $2 million in just two Short Deck tournaments. 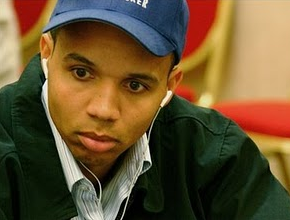 Even Ivey's success in cash games and tourneys does not necessarily equate to him being able to just hand over $10 million to cover his 2016 judgment, but the Borgata legal team states that there's no reason to think that had not planned ahead of time for the possibility that he might lose the case. The lawyers wrote, "As early as October 2012 (immediately after the fourth trip to Borgata, Ivey knew that his edge sorting scheme was unmasked, with Crockford's publically withholding about $12 million in alleged winnings. There is no indication that Ivey did not prudently sock away Borgata's $10 million, figuring that was the next shoe to drop." Ivey and his companion Cheung Yin Sun won tens of millions of dollars at the Crockford's casino in London and at the Borgata in Atlantic City via the use of their edge sorting technique that involved taking note of minor defects in the back printing of the playing cards. By asking dealers to turn high cards at a specific angle, Ivey and Sun were able to gain significant advantage with their bets and beat the casino. Since then Ivey lost a number of court cases over his winnings in both the United States and UK. The Borgata also sought financial justice by suing Gemaco, the card company that manufactured the somewhat defective cards. However, a judge determined back in March that while Gemaco's cards were indeed faulty, they were only liable for just $27, which is the value of the cards themselves. 21 comments for "Phil Ivey attempts to Delay $10.1M Payment to Borgata from Edge Sorting Dispute"
which is actually repaying the money back. At the end, who cares if he has still a bankroll to play poker or not. The ruling was guilty and he must pay no matter what, the whole sum for their unlawfully action. He should have thought at that in the first place, before going from one casino to another, trying to scam them. Cause thats what it was at the end. even if he give everything to mother or any other person,real estate,money,they will pay somehow this money!in future he will win money on tournaments and all of this money will be took from him right away till this 10,1 million!dont know who is right in this,but somebody will take money! maybe would be better for him that he make some contract with this casino,to promote them or whatever and to pay this amount trough this way and everybody would be happy! but if not,he will pay this amount,we all know how things work in america! Casino owners want to recover money from Phil Ivey but for now they try a decent method to succeed this thing. I'm sorry that this professional poker player has lost the process and now he has to pay a lot of money but casinos have made their rules and he was wrong when he cheated. This is a really interesting case all together to be honest. You always hear about people being able to find a system or something else to get an edge on the casino to take home huge wins. This time it's within millions so it's a lot of money we're talking about. You wont get away from them for too long. 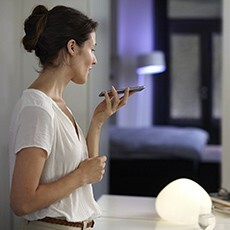 Especially now with all the high tech surveillance equipment. Silly move to try something like that in the first place. if he really cheat on this things,that he knewt what will happen and that they knew everything what is happen at tables!if it was only couning of cards,then I dont see why is that against rules!he have memory to remember what cards are out and why he wouldnt use it! If i was in the place of Phil Ivey i try as many casinos as possible in many countries and cheated but a little. In this way, i would have made more than 10 millions dollars and chances to be caught were much smaller. He chose to go often in that place and casino owners became frustrated when they saw that Phil Ivey win big money. So they noticed and sued him. Is a very large amount of money for Phil Ivey, and it will be hard to pay that money, but in the end he will pay because is forced by the law. If he does not want to pay this money, then personal property will be confiscated or bank accounts blocked and it will be worse for him. He has nothing to do and will pay that amount. he will earn this amount in short time and for sure he can pay it now,but ofcourse nobody would like to transfer 10 millions to casino,but if this is what court say then he must pay,no matter who is right in this thing!he can take all of his money and go in some country,but then he will not back till death in america! Phil Ivey can deposit money in any bank in the world but they will be seized if he do not want to pay that amount of ten millions dollars. Is bound by law and it is better to pay this amount quickly, to have no problems with the law and even to get into jail. Hmmm, ok, here is the thing about this case... I think these casinos are missing something else.... ok... why do I feel like someone else was profiting of these “edge sorting “ cases... why are the cards.. “somewhat defective” who else knew about these cards... this has a weird feeling about to it... anyways.. I dont see why he cant play poker if he is out of money or all of money is on mothers account ot whatever!they can give him money for buy in at some tournament and he can play!same as some cash games on tv!its like your friend to give you money to gamble in casino! About “edge sorting “ and “somewhat defective“ there may have been accomplices of course but It's strange why the casino saw these things pretty late and after that they sued him on Phil Ivey. Is an interesting story in which, as we usually know, the casino win.